Closing the health gap between Indigenous and non-Indigenous Australians should be one of the highest priorities for government. Yet Indigenous health has barely been mentioned by either major party during this campaign. NACCHO chairman Justin Mohamed says the only thing missing is political attention, with indigenous health hardly mentioned so far in the federal election campaign. 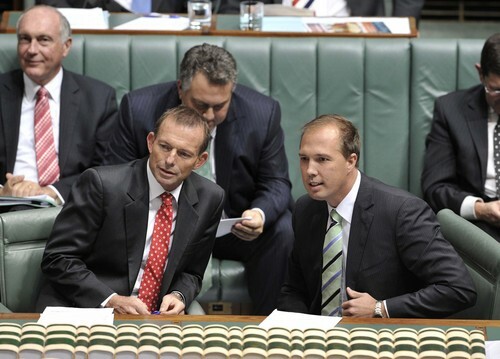 At the National Press Club Health debate last week Peter Dutton announced that Tony Abbott would be making an announcement before Saturday about Aboriginal health but so far nothing. Mr Mohamed argues that Aboriginal community-controlled health bodies have proven their expertise and efficiency, and whoever wins government on September 7 must show greater faith in the sector. Press release from Australian Healthcare Reform Alliance (AHCRA). Health care is one of the most important issues to voters at this election but the policies of both major parties fail to deliver on key measures, according to the Australian Healthcare Reform Alliance (AHCRA). “Whilst there are some valuable initiatives from both sides, they fail to add up to a genuine effort to address the scale of the current health system problems. There is insufficient action to address serious inequities in health and health care or longer term problems – they have taken their eye of the ball,” said Tony McBride, AHCRA chair. “Closing the health gap between Indigenous and non-Indigenous Australians should be one of the highest priorities for government. Yet Indigenous health has barely been mentioned by either major party during this campaign. “The current Labor Government has introduced some promising reforms, such as Medicare Locals and national funding of children’s dental services and more public adult services, a move that will address inequities. AHCRA therefore welcomes the Coalition’s broad support for these positive reforms, but is very concerned that there are too few details of how they will be progressed if they win power. “Another major threat to our health system is the increasingly high co-payments faced by people when accessing care. Unless co-payments are addressed, they will continue to be a severe barrier that undermines the equity and universality of health programs such as Medicare and reverses any gains made by the reform process. “Most importantly, neither major party has their eyes on the future and on how the looming health funding crisis in the next decade can be avoided as health care costs escalate. Neither party has a robust plan to keep people well and out of hospital by supporting prevention, by seriously addressing the social determinants of health that cause so much ill-health or by effectively managing chronic disease in the community. Without such action, the pressure on hospitals will simply grow to unaffordable levels and society as a whole and health care will become increasingly inequitable. AHCRA welcomes Labor’s commitments to mental health, medical research, and better stroke care. But overall its initiatives and vision are far too modest. Coalition’s plans to hand back hospitals to local rather than regional boards which will not serve consumers’ needs for a highly integrated system unless there is a universal commitment to consumer-centred care. Additionally the plan to restore the private health insurance rebate to the wealthiest Australians makes no financial or health policy sense given the take up of private health insurance has actually increased since the rebate was cut. AHCRA strongly supports the Greens’ universal dental plan but disappointingly even they do not place health among their top ten policies. Mr McBride called on both major parties to “address the holes in your health policies before the 7th September and commit to building on the early gains of the reform agenda. Deliver a world class health system for Australia’s future that is effective and financially sustainable by addressing equity and focussing much more on prevention and primary health care” he concluded. 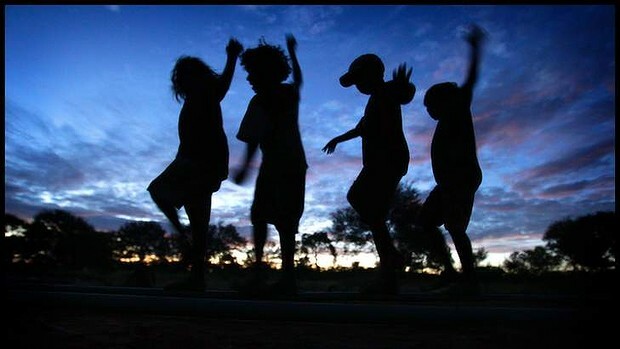 The Prime Minister will deliver her report to Parliament on Wednesday on progress towards closing the gap. The speeches from Julia Gillard and Opposition Leader Tony Abbott offer an unparalleled opportunity for all political parties to restate their commitment to Aboriginal and Torres Strait Islander health equality. In this election year, it is vital that all sides of politics at all levels strengthen their commitments to closing the gap by 2030. Long-term commitments to programs and services will provide surety and results that are literally a matter of life and death for our peoples. While all parties have voiced support for health equality, now is the time to demonstrate how promises will be turned into programs with accountable results. </iframWhy is commitment needed? Isn’t enough being done for first Australians? 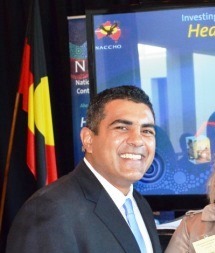 The efforts by government, non-government organisations, communities and individuals are to address simple facts such as babies born to Aboriginal mothers die at around twice the rate of other babies, and then children survive to experience higher rates of preventable illness such as heart disease, kidney disease and diabetes. Now that the election has been set, and with the budget on the horizon, this fiscal commitment will most likely be announced in due course. These are nervous times because without this commitment by both sides, the prospect of closing the gap within a generation will be lost. The health of Aboriginal and Torres Strait Islander Australians cannot fall victim to budget cuts or be propped up on short-term drip funding. All parties must support multi-decade commitments that will span policy cycles, funding agreements and governments. Firstly, and perhaps most importantly, is a re-commitment to a National Partnership Agreement on Closing the Gap in Indigenous Health Outcomes. The current agreement expires in a few months. This is the key funding that underpins all of the Aboriginal and Torres Strait Islander health programs and services provided by government, as well as by the Aboriginal community-controlled health organisations. 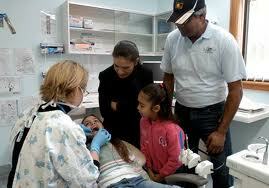 Secondly, the National Aboriginal and Torres Strait Islander Health Plan is due midyear. It is already off to a good start and will serve as a partnership between the government, our community and peak health bodies. The nation expects commitments to be maintained and crucial investment to continue, until we close the gap. The government’s report will highlight some promising signs of health improvements. Those improvements are the core focus of our Close the Gap Campaign – a collaboration of health and human rights bodies. The campaign also publishes our ”shadow report” on the government’s progress. Under-five mortality rates for first Australians are falling, and child health is improving – and a healthier child population means a healthier adult population. Aboriginal and Torres Strait Islander peoples are also embracing increased personal control of our health, with the successful rollout of Tackling Smoking Initiatives and Chronic Disease Packages, along with increases in health checks. Similar programs focused on improving diet and raising awareness about chronic disease will also take time and involve generational behaviour change. While these programs must be given the chance to succeed, there is no room for complacency. We know that change can and does happen where collaboration between the community-controlled health sector and the government exists – where there’s genuine partnership. There is an undeniable groundswell of good will from Australians, with more than 185,000 people supporting the Close the Gap campaign. Tens of thousands of people are expected to take part in National Close the Gap Day events on March 21. As the day gets bigger each year, it provides hope that as a nation, we want to address this historical indictment. This year is a critical juncture if we are to close the gap, and although there are many challenges and a long way to go, the finish line is within sight of a generation. This is the year to hold to the vision of what can be achieved. Time to allow ourselves to be a nation inspired by it – Aboriginal and Torres Strait Islander health equality within our lifetimes, within our generation. We look to the nation’s leaders to take the steps needed to realise this vision. It is also time to ask ourselves, what can I do to help close the gap by 2030?